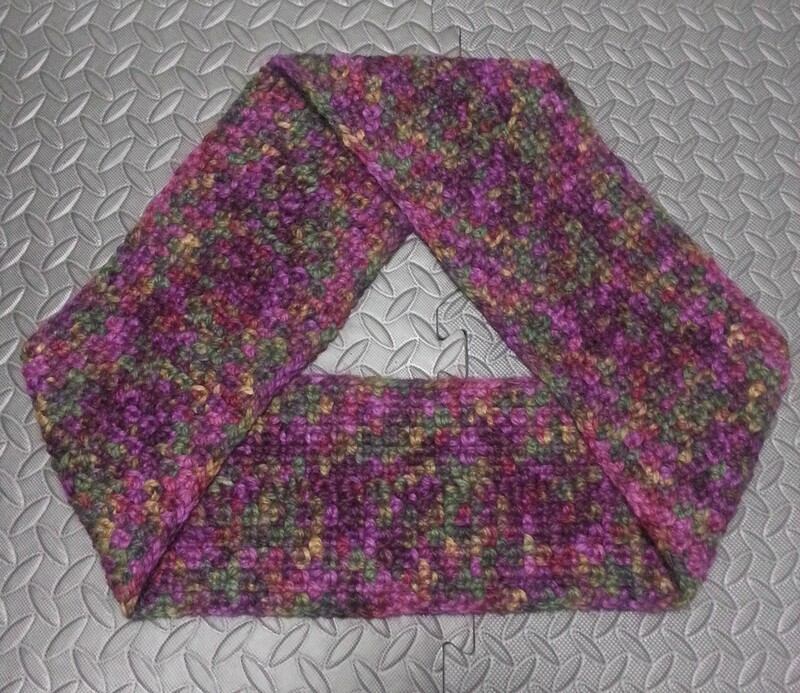 My latest moebius pattern is available thru my Ravelry Shop “Infinite Grande Cowl”. 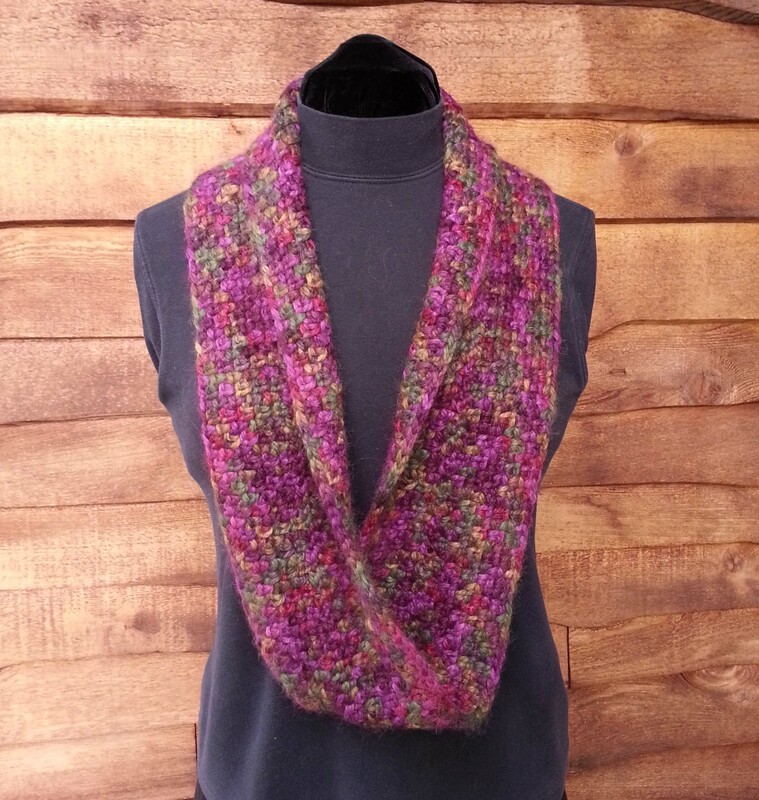 This a super simple long cowl designed in a luscious baby alpaca chunky yarn, Plymouth Yarn’s Baby Alpaca Grande. The hardest aspect of this pattern is the Foundation Single Crochet length and being sure you get your moebius twist correct. 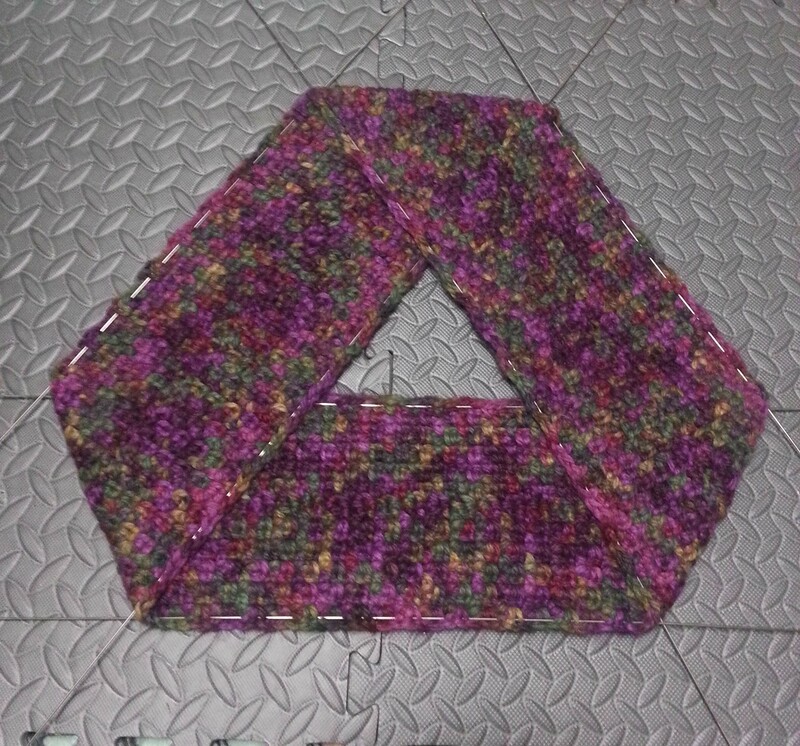 The rest of the pattern is single crochet, chains and slip stitches. 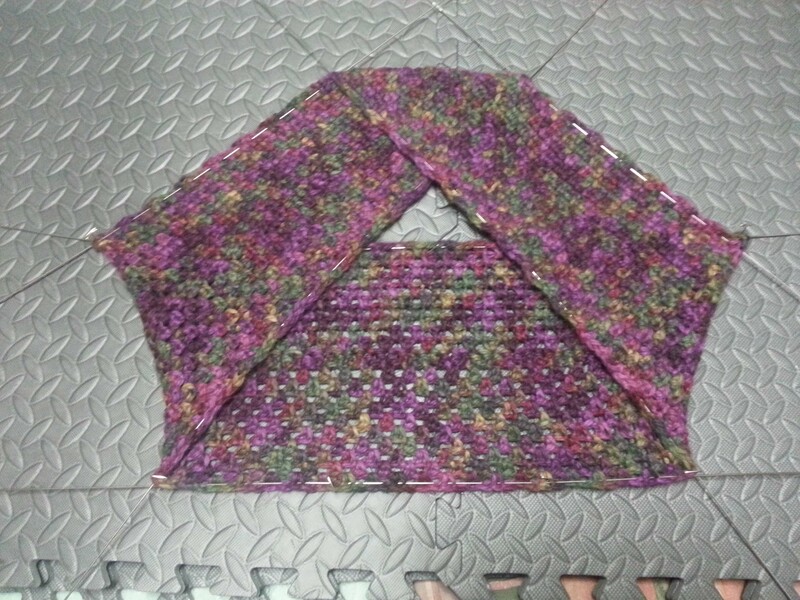 Pattern instructions are in text using U.S. crochet terminology and stitch diagrams. You can find the pattern on Ravelry for $3.99. Click here to buy it now. Looking at the patterns I have available you can see that my favorite foundation to use for a cowl or “infinity” scarf is a moebius. But a moebius does present you with some interesting challenges when it comes to blocking your finished project. Because of the twist in the fabric a moebius doesn’t lay flat like most other projects. The best way to “flatten” a moebius is to lay it out in a triangular shape like above. I like to block using my blocking wires. 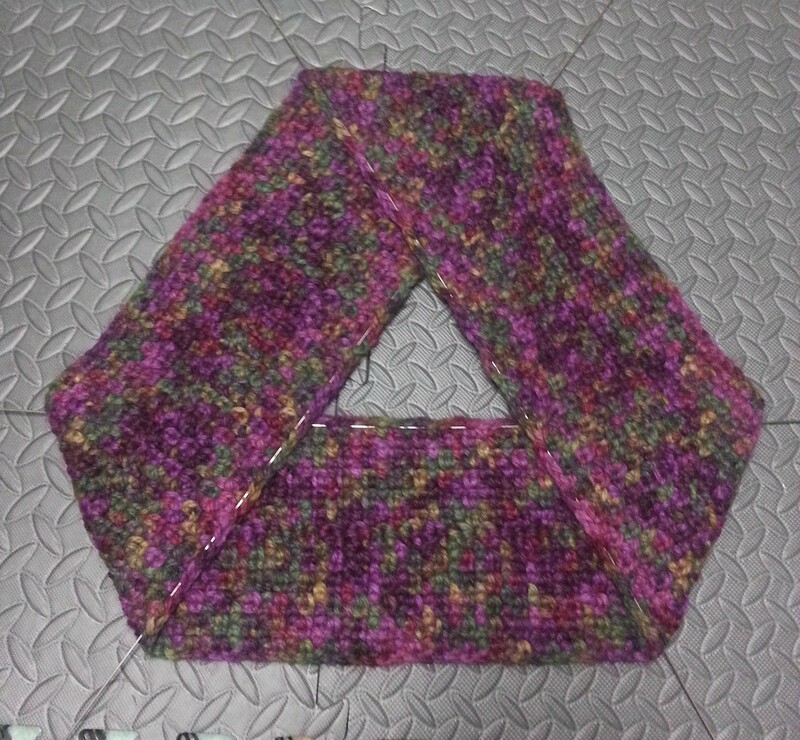 So my next step in blocking a moebius is to fold the “top” of the triangle down to expose the top edge of the bottom strip in the triangle. 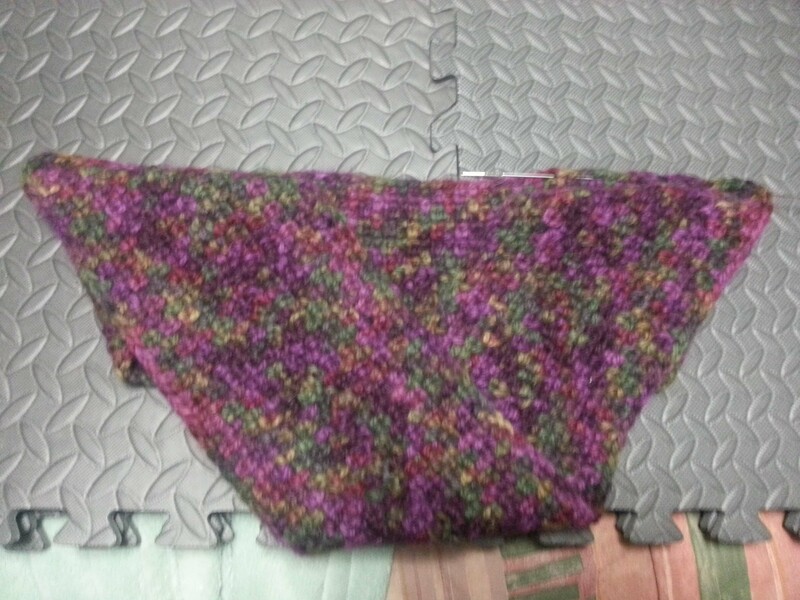 I then wove in one of my long blocking wires along that edge. 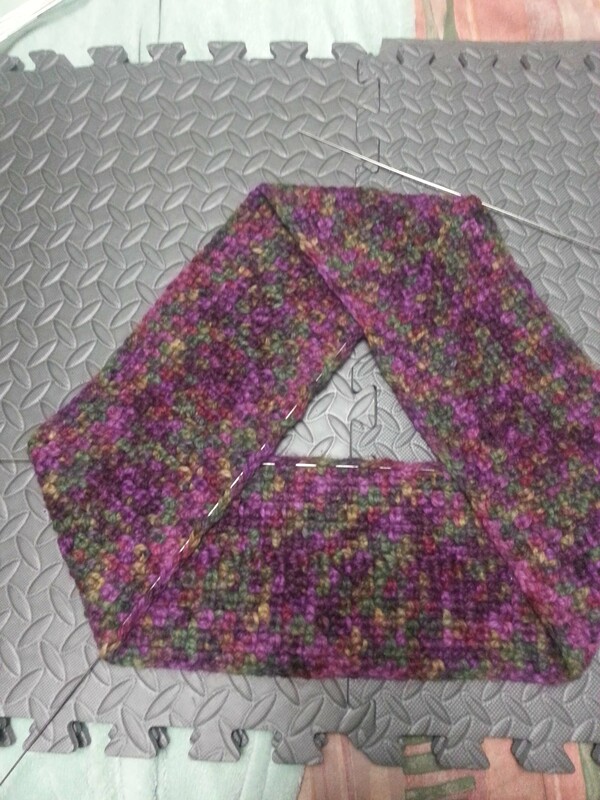 I then return the top of the triangle to the mat and flatten it out. The first wire sticks out of the corners on the bottom strip. I marked the top corner then weave my next wire along the inside edge of the next level of my moebius strip. Last inside edge gets it’s wire next. Now I weave wires thru the outside edges. 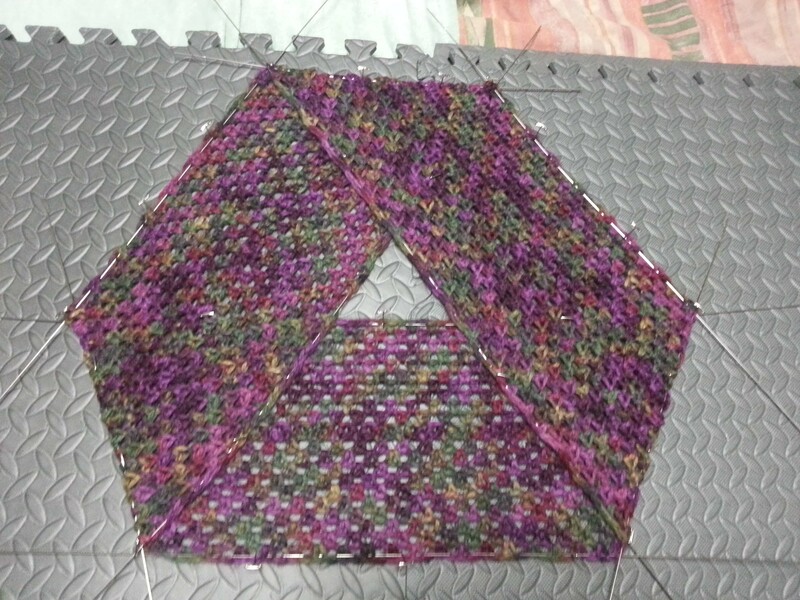 We are ready to begin stretching out the project for blocking. I tend to be pretty aggressive when I block and open the stitches as much as possible. I pin the bottom outside edge in place, then shift the inside wire upward to stretch open the fabric. I use nickel-plated T-pins to hold the wires in place. 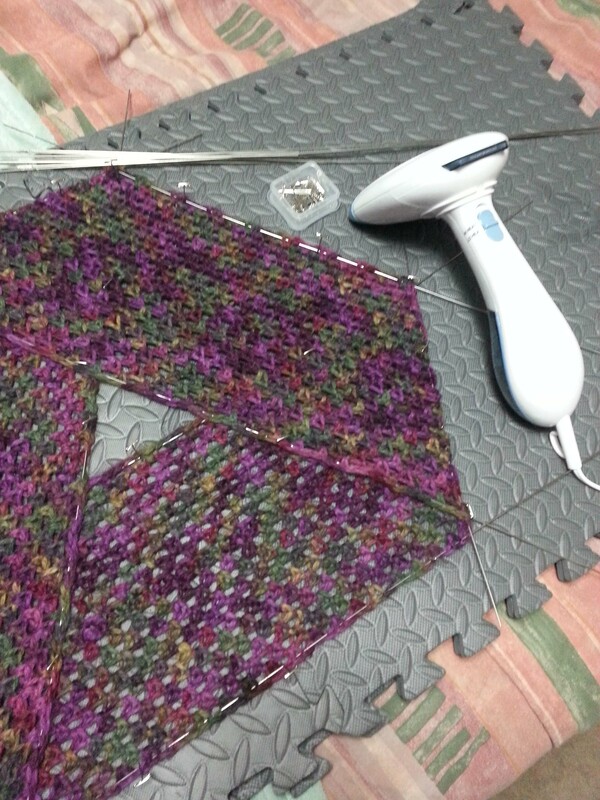 Nickel is important to use in blocking as it doesn’t rust and won’t mark your fabric when it is wet. I work my way around the moebius pinning and stretching until I am happy with how much I’ve opened the stitches. Part way thru the stretching I realized I needed to place wires thru the “folds” at each corner of my triangle to keep the stretch from deforming the fabric. I just slipped the wires under the top layer of the strip at the corners. Once everything is pinned out how I wanted I heated up my hand-held steamer and steamed the open fabric. I let it sit for about an hour to dry completely and then my cowl was ready to be photographed. Being this cowl is alpaca the stitch work didn’t open up tremendously, but the overall fabric was smoother and draped nicer afterward. Now you know one of the ways to block a moebius. I hope you enjoy crocheting some in your projects. They are one of my favorite shapes to crochet.